"The commercial, money-making machine, they all stay together to become famous and rich. But then they start copying each other, and it becomes stagnant after while"
I've talked to Michael Schenker many times over the long years since he first went solo with the MICHAEL SCHENKER GROUP [preceded by legendary stints in SCORPIONS and UFO, and later ASSAULT ATTACK and MCAULEY-SCHENKER GROUP, and current TEMPLE OF ROCK], and, while some things don't change (he is always philosophical and answers questions thoughtfully and thoroughly), in recent years he has been noticeably more outgoing and upbeat, something he attributes to the third stage of his life structure, which has also seen the albatross of stagefright suddenly disappear (about 10 years ago) from his professional and personal life. This time Michael is talking about his latest release, a live DVD/CD of one of the Michael Schenker Fest tour dates from Summer of 2016, called Michael Schenker Fest Live From Tokyo International Forum (and featuring the original MSG vocalists Gary Barden, Graham Bonnet and Robin McAuley), and which is set to be released on the 24th March 2017 Worldwide. KNAC.COM: I just talked to you about a year ago when you had the live DVD/CD release from Spain [TEMPLE OF ROCK's On A Mission Live In Madrid]. 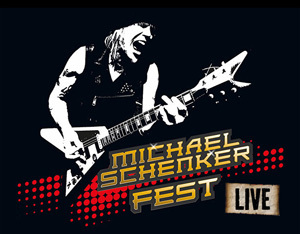 Now, you have a new live DVD coming out for Michael Schenker Fest - Tokyo. Anyway ... my promoter found out about it, that I was doing "The Michael Schenker Fest", and that I'd declined the Loud Park Festival, and then immediately made me another offer for Japan, and Tokyo sold out immediately. I was thinking, "Wait a minute! I need to record this, I need to capture this!" And so I pre-financed the whole thing, because nobody would have done it. I didn't care, I just knew I had to do it. I hired a cameraman, as well, for the behind the scenes footage, and photographers, and put the whole thing together, and it turned out really, really good. And I'm so glad I did this. And now it's going around the world! Now we're getting offers from the UK, Germany and even in America, we have someone investigating and they said, "It's looking extremely good" ... If we can get this together by next February or March, we can get a real big, good tour in America. So, that's really good news. I had no idea! It was only a year ago that TEMPLE OF ROCK recorded the Live DVD in Spain, and I just read the news that we received a prize for the video in Germany. "Best Sounding Video" - or something like that. That's the TEMPLE OF ROCK video [On A Mission, Live In Madrid] from Japan. So, we're just getting Michael Schenker fans rolling, so it would be a shame to break it up already. So, we are trying to figure out how to coordinate everything. I thought, another record with Doogie should maybe be in 2018 rather than 2017 because my ears are still ringing from the last recording - it's not like we've been apart forever - so, I think, not being too hasty, and looking at all the possibilities, I'm sure we're going to create a few more ideas around this whole thing. So, I'm just taking it as it comes, and things are working out nicely. I'm happy with the results of the DVD; it was a fantastic night. It was such a great energy coming from the audience and it was a great energy onstage. We have a great-sounding DVD here and it's going to be released on the 24th of March. We do one show with Robin McAuley, a headline show in Madrid, Basically it;s really good. (laughs) I can go from one thing to another and it's really fun! That's because everything stays fresh! How my life developed into this kind of thing - I don't know! Basically it's really good ... I can satisify all these different guys and what they want to hear. If they say, "I want the lineup with Gary Barden, " it's like, Okay, I can go from one to another and it's really fun! It keeps everything fresh. My present situation keeps things very interesting. KNAC.COM: Well, every stage of life provides a new insight and a new way of looking at things, but you seem to be even more excited about your creative life than you did when you were younger. SCHENKER: Yes, everyone has their particular set of circumstances and life structure, and, at my age now, I can look back and see my life structure very clearly. I can see three stages: the unconscious development of my first stage, then, in the middle, was all about learning about life, and then the third stage of my life is celebrating everything I've learned, and consciously carrying on doing what I started unconsciously. You know, I've also been staying away from music since I was seventeen, and just creating from inside, and from the inner spring, which is infinite. And so, of course you are experiencing different feelings and excitement than people who are just copying a trend, and keep copying the same old trend, until the trend is sick and tired. Then, there's nothing more to get, which is the rat race! The commercial, money-making machine, they all stay together to become famous and rich. But then they start copying each other, and it becomes stagnant after while ... So, what I focus on is awesome lead guitar playing, and I come at that from a place of pure self-expression. That is a completely different story than those people who did their thing focusing on a trend for over 40 years. Some of them may be burnt out and tired, but I've never been doing that, because I'm coming from that infinite place that is completely different from where most people get their inspiration from. KNAC.COM: I can see how your creative motivation might be rejuvinating, actually, but how about the touring side of things? SCHENKER: Of course, of course, I love all of that. That's the beauty about getting older. I was always hoping that somehow, some of the stupid stuff would just disappear by itself, and it does! Lot's of stuff has disappeared by itself. That's great news for everybody, that these things do happen, you know? It may not be the same things for everybody, but it's just like basically, my problem was stage fright, anyway, and that kind of started that viscious cycle. But, in 2008, all of a sudden, I wanted to be on stage. (laughs) I had the desire to be on stage! I don't have a problem with being onstage anymore, so I don't have to look for things to make me go onstage. So, you grow out of that, and that thing is out of sight. SCHENKER: It's been a one hundred and eighty degree turn around. I have no clue what happened, but I guess the middle years led me to where I am in life - every step brings you to where you are today. So the stagefright, just left me and disappeared. ... Now I can enjoy and celebrate the third part of my life. KNAC.COM: Even with all the touring projects, are you continuing to write new music as we speak? 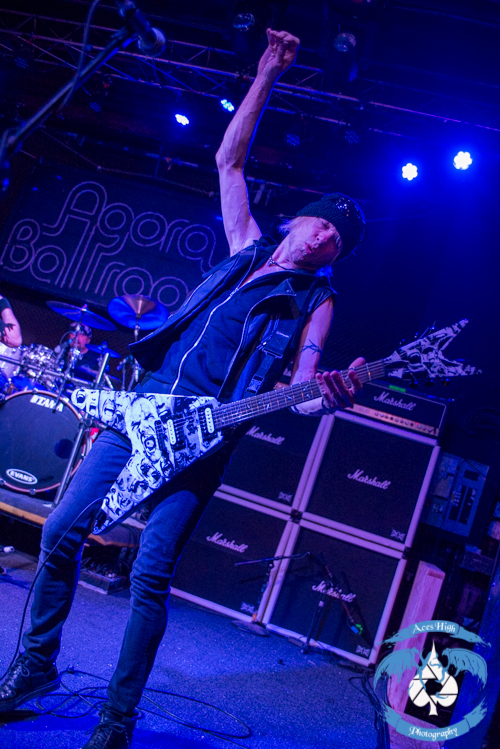 SCHENKER: Oh, yeah! I call it "Play and Discover." I've always done it that way. I play the guitar, and then I discover things - and I do it on a regular basis. When I make the next record, there's going to be brand new sparks flying all over it! It always makes it fresh because I discover new colors that come from within. So, I always sprinkle those new discoveries over the next record. My hard-core fans, especially, can identify those sparkles and that is how they have their fun!